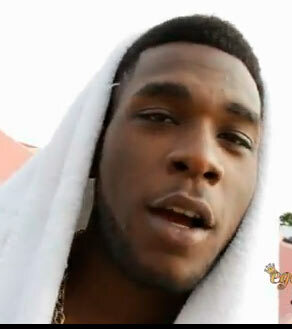 Nigerian Afro-fusion star, Damini Ogulu aka Burna Boy has debuted on the UK music chart with his feature in ‘Location’. ‘Location’ is a song off the debut album of UK based rapper Dave titled ‘Psychodrama’ which entered as Number one in this week’s Official Albums Chart. Similar to the American Billboard charts, the Official Charts, which are compiled by the Official Charts Company, tabulate the relative weekly popularity of songs and albums in the UK. The ranking separates them into the ‘Official Singles Chart’ and the ‘Official Albums Chart’. Three songs off ‘Psychodrama’ claimed the three highest new entries on the ‘Official Singles Chart’. These include the J Hus-assisted ‘Disaster’ at Number 8, ‘Streatham’ at Number 9, and the Burna Boy-assisted track, ‘Location’ at Number 11. Burna Boy delivers an unforgettable chorus in the Jae5-produced song which features him and Dave bragging about their successes with the ladies. NAN reports that the ‘On the Low’ singer began the musical year with hefty, fan-favorite tunes including ‘Dangote’ and ‘Killin Dem’ featuring Zlatan. This follows his quick rise to stardom in 2018 which made him one of the top five stars of the year. The singer is billed to perform at Coachella in April.